Packaging was always something I loved about Whirlingturban. 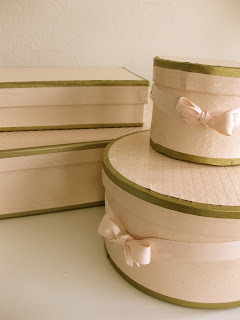 Katherine always sent her wonderful dresses in palm covered boxes tied with ribbon. These are gorgeous and really are the "icing on the cake" as you said. There is nothing worse than recieving a package that is filled with goodies and it comes in an ugly brown box.